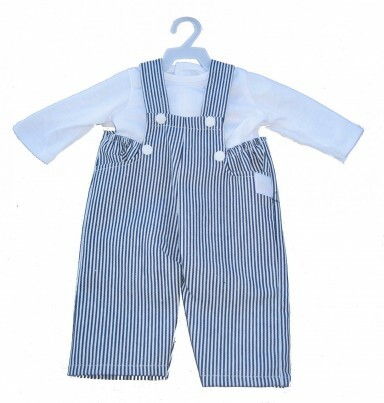 When there's an occasion to dress up for this outfit will make your boy doll look very handsome. 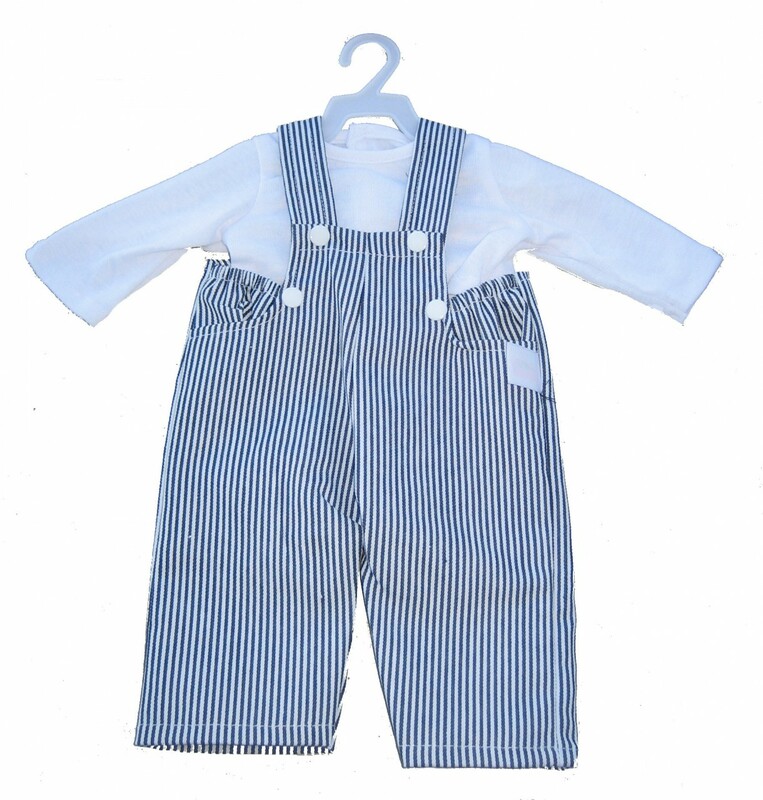 With hard-wearing pinstripe dungarees and a white long-sleeved top, this outfit is a must for your dolls closet. Finish your outfit with a lovely pair of denim shoes from our range and don't forget your nappies and carry cot. Fits dolls size 16 - 18 inches ( 42-46 cms) such as Baby Annabell, Baby Chou Choc and Bear Factory Bears.